Think Doing Hourly Estimates For User Stories Is Crazy? We began this month with a Build episode where we exposed all the aftershocks of using current product management methodologies to estimate user stories. Then in last week’s episode, we dove into Hiten Shah’s new EAT approach, which boils down to doing hourly estimates. Don’t worry if you thought Hiten was crazy—you aren’t alone! Objection #1: My team is still healing from our previous approach. Objection #2: This won’t for our customers who want quick fixes! Objection #3: My team is eager to adopt a new process but how will this help them follow through? Watch today’s episode here to learn how we address each objection. 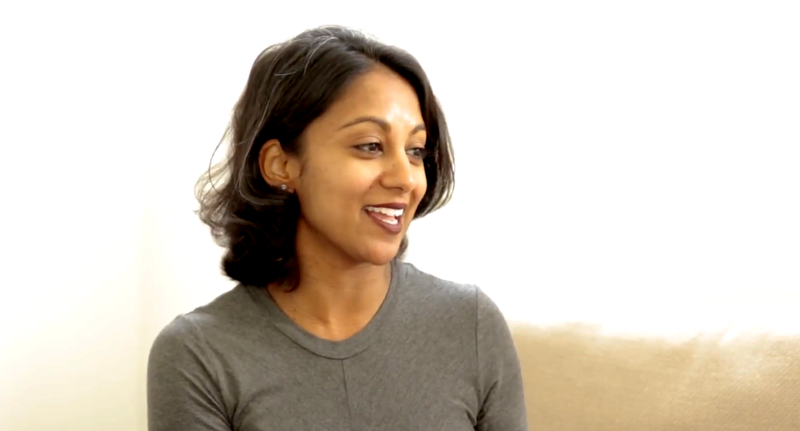 Poornima Vijayashanker: Hiten, last week we instigated our audience by telling them your EAT approach on how they’re going to get rid of their old methods and instead embrace doing hourly estimates. A lot of them have written in with their questions, their concerns, one even said you’re totally crazy. I hope you’re ready to deal with this pushback and address our audience’s concerns. 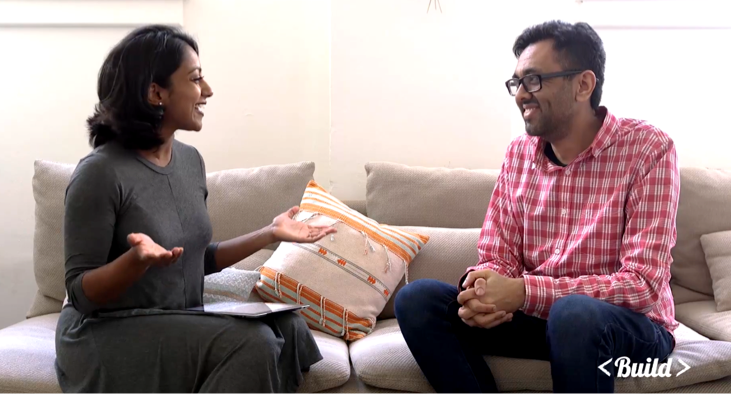 Hiten Shah: Yeah, it’s not the first time I’ve been called crazy. It’s because I just want everyone to do better. I’ve heard everything from “there’s no way I’m going to be able to get my team to do this, there’s no way I can use this approach,” all the way to, “the approach I’m using today, whatever it is, works just fine.” Yet, those same people say they can’t ship on time. Also, “we just can’t estimate accurately, we’ve tried it before, and it’s impossible.” I’ve heard everything. Poornima Vijayashanker: Awesome. I hope you’re ready. Let’s just dive right into it. 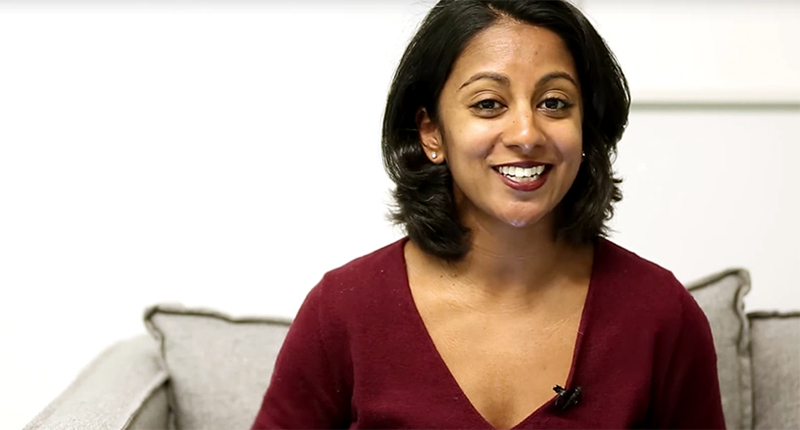 Poornima Vijayashanker: Welcome to Build, brought to you by Pivotal Tracker. I’m your host, Poornima Vijayashanker. In each episode of Build, innovators and I debunk a number of myths and misconceptions related to building products, companies, and your career in tech. Over the last couple episodes, we’ve been talking about estimates, and you’ll recall in the last episode we unveiled the EAT method and talked about how this is all about hourly estimates. I’m sure, for those of you out there, you were thinking, “This is crazy, people will never adopt this on my team.” In today’s episode, we’re going to address a number of these concerns. To help us out, I have invited back Hiten Shah who is the founder of multiple products, and his most recent project is called Product Habits. Hiten, we put out your EAT approach, your EAT method, and we got a lot of feedback. I want to start by throwing some questions out there from our audience and, hopefully, you’ll be able to answer them. Poornima Vijayashanker: Awesome. Here’s the first question, this is from a product manager and they wrote in saying, “Hiten, my team adopted agile five years ago and experienced a number of problems that you talked about in the first episode. So, six months ago we took the plunge and decided on no estimates and, of course you can imagine, we’re still recovering from it. The wounds are raw. So, how am I going to get my team to try something new especially since this is going to be another investment in terms of time?” What are your thoughts? Hiten Shah: Every time you do a process improvement and it involves product people and engineers, they do like process; if they don’t then they’re probably working at a really early stage startup and spending a lot of time just probably working 18 hours a day just coding and things like that. That’s a whole different story, but in this case it sounds like a larger organization to some extent and a bigger team. In those teams, the best advice I have is don’t think it’s going to take time. I’m not saying you rush into anything or anything like that, but you can start with the E part of the EAT method and really focus in on understanding how to have your team as engineers and the product team learn to explore and learn to really figure out what the communication differences are between the teams. That technical research outline really helps you do that. Poornima Vijayashanker: Call in change management. Hiten Shah: Yeah, none of that. No, we don’t like that. I don’t like that. Anything I suggest wouldn’t fall in line with that. Can you just start with starting with the explore aspect of it? Then, playing it out on the next initiative you’re going to do, however small or large you think it is? You’ll already start seeing improvements. Again, seen that happen, heard this objection. Part of it is because of exactly what the person was saying, “I’ve done this before. It didn’t work. The thing we went to is still causing us all these problems, hence why we started with the problems and most of the states people are in.” I kept hearing that over and over again. The simple solution is start with this one document and create, what I call, a technical research outline, and use that to communicate with engineers. The two main components—again just to repeat this—are the evidence, the reasoning, the customer feedback, anything you have there as to why you’re building it so that your engineers and rest of the product team can get close to the customer. My favorite part still is the open questions because you’re going to have questions about what you’re building that might’ve never previously been answered in your process. Just that and then having communications while engineering solves this problem, but don’t think it’s going to take forever. Hiten Shah: The good news is you’re not asking the customers to eat any vegetable. You want to create that dessert for them, if you want to put it that way, but what you’re looking to do is get your team to eat their vegetables. What I would suggest is that you take away this idea that you’re ruled by your customers in terms of you have to do what they say and instead start taking a bunch of the items that they’re giving you and start going through the whole EAT method process and getting actual estimates because then you’ll actually be aligned with them. What they want to see is that you’re improving the product based on what their needs are. What you want to do want to do is improve the product based on their needs. Just by applying the method itself on a high level and starting to go through the process with your team, you can go all the way to the explore aspect and the adjust aspect and you don’t have to get to task yet as long as you can have an idea of comparing one thing they want versus another. Then, you can apply the idea that, “Well, we now have an idea that this thing we can do for them is going to take a week, this other thing is going to take a few days,” which is probably a process you’re not going through right now. Then, you can pick based on that. Usually, I pick the thing that’s going to happen quickest most of the time just to get all those knocked out and keep customers happy. Over time, you would create a balance of both types of things. Poornima Vijayashanker: I’m sensing from this audience person that they probably have some customers that expect things done right away. Maybe like in the next day, week, or month, they have some deadline in their head that they want the team to meet. Hiten Shah: This whole process you can add criteria, such as “our goal is to release this by this date,” and then the discussions happen. The whole idea of the process is that you can start setting certain criteria and, to me, what I’ve done before is put that as an open question. This is the most important thing customers want and we’d like to deliver it within, whatever the criteria is. Then, you get to have the discussions with engineering. Here’s the funny thing: even though a customer might have demanded it that fast, that doesn’t mean today you’re delivering it fast enough for them anyway. This is the most common thing. It’s like if you have a faulty process or a process that’s not delivering it; it’s a circular kind of logic. For me, it’s being deliberate and actually getting the estimates will help you get to a place where you can deliver something at the speed that your customers want it. Usually, the customers want the communication and they want accuracy just like you want more than they actually care that it’s going to be delivered when they want it. If you tell them, “Hey, we can’t do it in a day, but we guarantee it’ll be done in three,” and you get it done in two or you get it done in three they’re happy. Hiten Shah: This is great. It’s great to have a team that’s motivated to try new things. The best thing you can do for a team like that is give them the outlet to communicate at every step about how the process is working because then you can remind them that we’re convicted, we need a better process. We’re convicted that we want hourly engineering estimates on things, and so we are going to keep doing this process until it works. Thus we’re going to include feedback from you, the people who are doing it into the process, and we’re going to make improvements over time. A technical research outline is created, let’s say, and then the engineers work on it, and before you move on to the next step of the EAT method of adjusting, you would take a quick five minutes and let everyone give feedback on the outline itself. Was it effective? Did we miss anything? Are there things that we could’ve done better? Questions like that. I think, for me, if you’re running a team, your job is to get feedback from them. Even with any kind of process that you want to change or improve, you want to sit there and say, “OK, how can I make sure that the team is aligned on it?” This is what I would call an alignment tool across the board, so that you’re getting their inputs as well, and they don’t have this fear or this reason to fall back to old practices that screw up the whole process. Poornima Vijayashanker: That is the discipline, the getting the feedback and doing the adaptations as you go through. 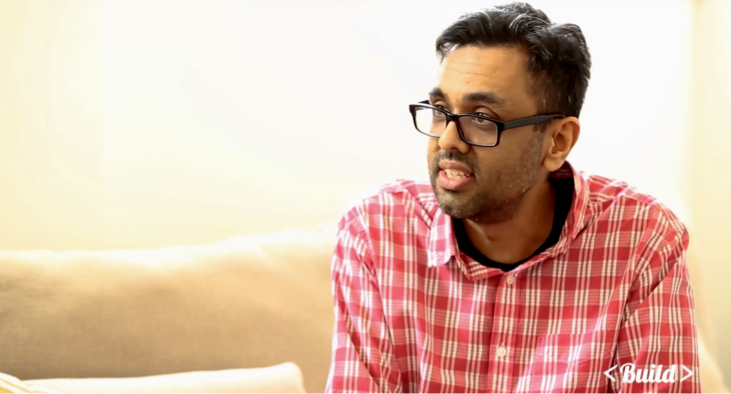 Hiten Shah: You can’t improve without feedback. Poornima Vijayashanker: Yeah, got it. Thank you so much for taking the time to address a number of these concerns and objections that our audience has, Hiten. Any final words for our audience? Hiten Shah: Yeah, absolutely. I’m super happy that all of you have watched this. This specific subject was the most controversial subject I’ve written about, ever in my life. I write about these things on my newsletter, Product Habits, you can sign up at producthabits.com, and I’ll be talking more about things like this that are there to help you out all in emails though, no videos, so thank you for having me on video. Poornima Vijayashanker: You’re welcome. We’ll be sure to share the link to Product Habits with our audience. Poornima Vijayashanker: That’s it for this series and today’s episode of Build. Be sure to share it with your teammates, your boss, and be sure to subscribe to our YouTube channel to receive the next episode of Build. Ciao for now.